The FAT is applied to one edge of the roll, the other edge has a guide line to ensure correct overlap widths and membrane placement. FAT improves seaming productivity, completing projects faster, improving the ability to get buildings ‘in the dry’ in less time and minimising business disruption. 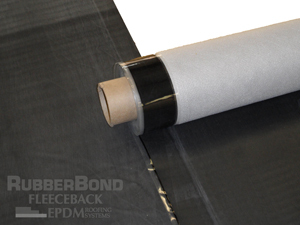 The 3.05m wide roll is also available in a non-FAT version and spliced with 75mm PS SecurTAPE.